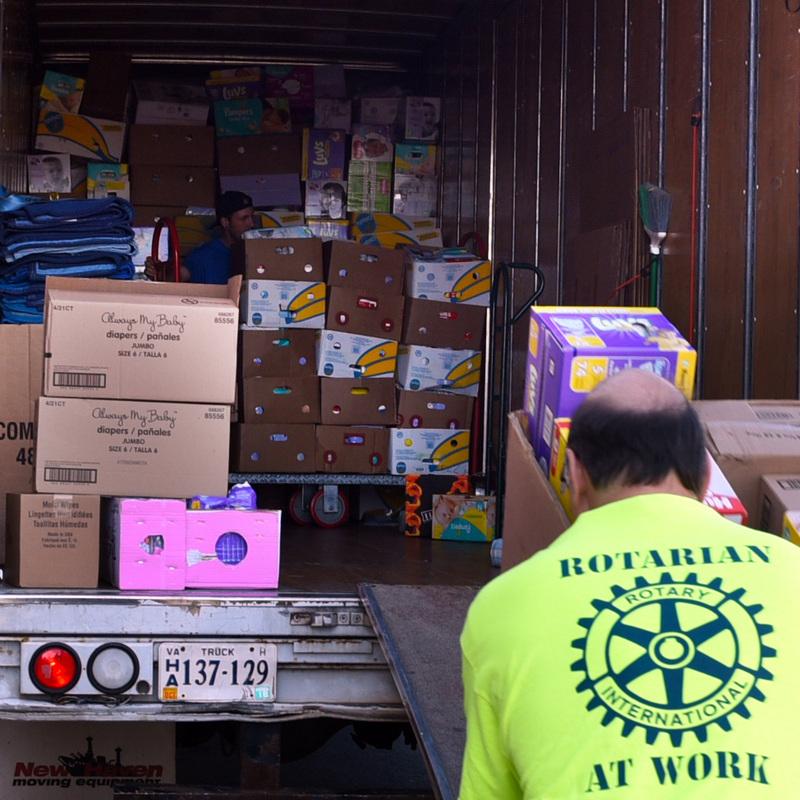 Ashburn, VA – Northern Virginia moving company, My Guys Moving & Storage, helped the Rotary Club of Sterling and Giant Food Stores load a truck and move over 85,000 diapers and thousands of wipes, donated by generous customers of 17 Giant Food stores throughout Loudoun & Fairfax Counties. The drive was arranged and coordinated by A Hand Up-NOVA, Inc. and the Rotary Club of Sterling, VA on behalf of NOVA Diaper Bank. Susan Mullen, who coordinates delivery of the diapers said, “The diapers will be distributed to families where the parents are choosing between buying diapers or groceries, and less fortunate families with children who have disabilities, such that they will never be out of diapers.” All donations move through helping organizations like Loudoun Cares, BirthRight of Loudoun County, Grace Ministries of Sterling UMC, Good Shepherd Alliance, WIC, Inmed Partnership for Children, FACETS Cares, Fairfax County Health Department and Family Services as well as some public school systems. 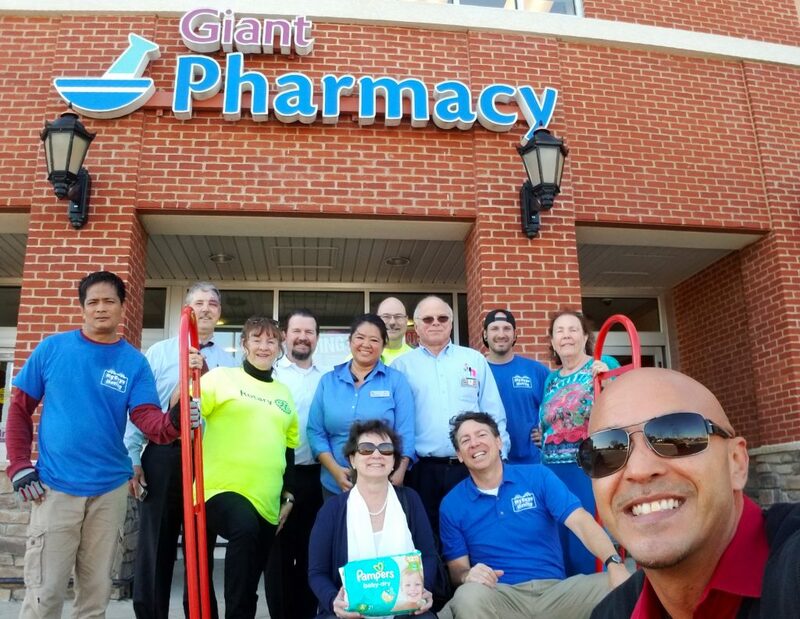 Special acknowledgement to a few of the many volunteers: Giant store managers – Bill Johnson (Ashburn VA), My Pham (Ashburn Farms), Larry Merritt (Fox Mill Herndon VA), Sterling Rotarians – Judy Brittle, Steve Radich, John Slye, Linda Carducci, Terry Williams, My Guys movers – Wes, Rico, Gustavo and Saul. 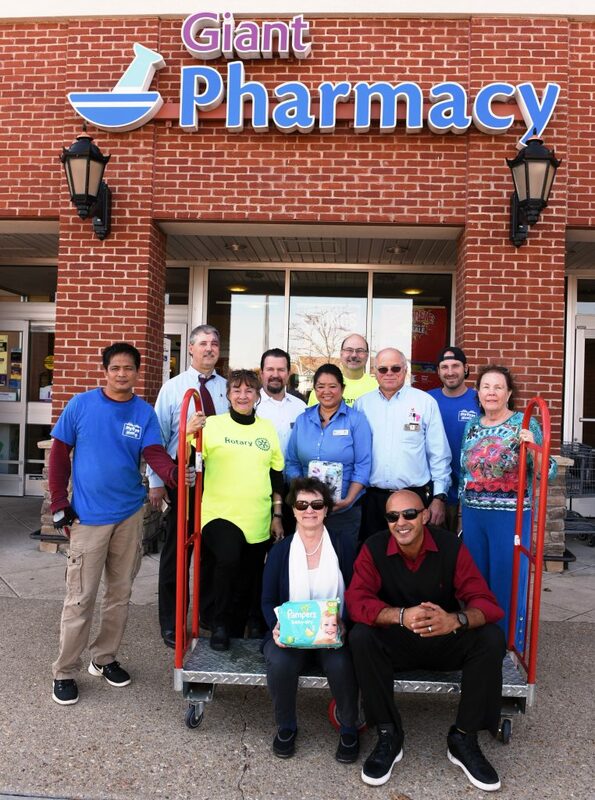 For more information on this all volunteer organization, visit their Facebook page.